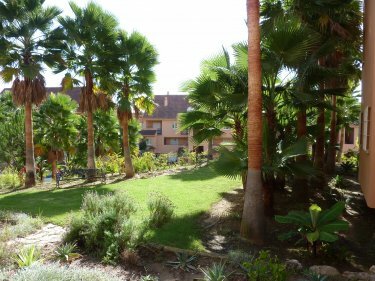 This lovely 3 bedroom penthouse apartment makes a superb holiday home set on the delightful development of Paraiso de la Bahia with it's lovely tropical gardens and pools. The nearby sandy beach of Playa de Casares is just a few minutes walk away with easy access over a pedestrian bridge. 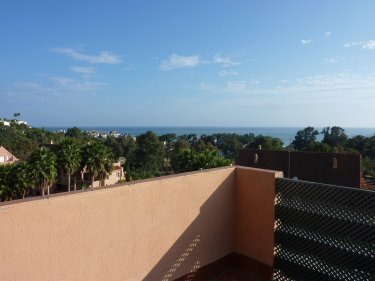 This apartment is very well situated with excellent views of the sea and surrounding areas. 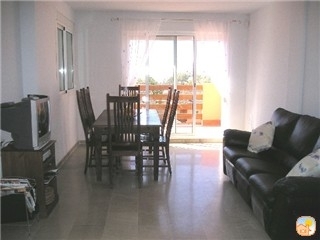 This apartment is set over 2 floors and has a good sized living/dining room with patio doors onto a large balcony; a fully fitted kitchen with oven and hob, fridge/freezer; dishwasher; washing machine and microwave. Also on this floor is a twin bedroom with access to the balcony and a full bathroom. On the 2nd floor there is a double bedroom with private balcony and a separate bathroom, also on this floor is the large master bedroom with en-suite bathroom, and private balcony with fantastic sea views. The apartment is comfortably furnished with two leather sofas, a solid wood dining table with seating for six and satellite t.v. in the lounge. All bedrooms have fitted wardrobes and there is an additional t.v. in the master bedroom. The apartment is fully air conditioned. 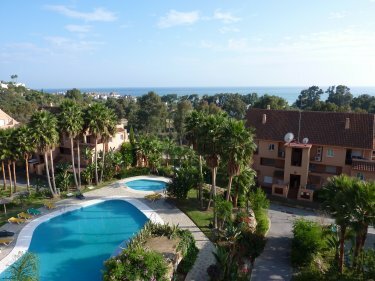 Nearby is Sabinillas, where you will find a good selection of shops and a lovely promanade for long walks along the sea front, also nearby is the Port of Duquesa with it's many bars and restaurants. The town of Estepona is also just a short drive. Gibraltar it about 30 minutes by car and Malaga about an hour. Transfers can be arranged from the airport if required.